You meet people with backgrounds and interests that hold your attention. You are never “just another student”; you have a personality and identity that deserve respect. Quinnipiac celebrates diversity through organizations such as the Black Student Union, the Asian/Pacific Islander Association, and the Latino Cultural Society. In an event-filled student calendar, we’ve hosted Khalid, Jason Derulo, Everclear, and hip-hop and rap groups, as well as speakers such as Shark Tank’s Daymond John, former President Jimmy Carter, and Danny Glover. International Study Opportunities: Quinnipiac sponsors a study abroad program in Ireland and also sends students to a variety of countries, such as Australia, China, France, and Spain, for a semester of study or summer program. Admission: About 24,000 students apply for admission each year, and we enroll 1,900 freshmen. Given our rolling admission schedule, we recommend that you apply early in the fall semester. Get to know us personally through our fall and spring open house programs, weekday and Saturday information sessions, and weekday admission interviews, all of which include a student-guided campus tour. You can also chat with us online, file your application, view our campus video, and take our virtual tour. 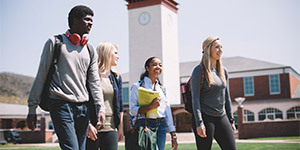 U.S. News & World Report’s “America’s Best Colleges” (2019) places Quinnipiac among the best regional universities in the North. 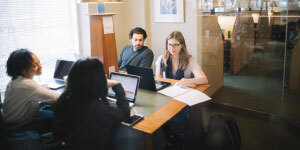 We are also recognized in The Princeton Review’s The Best 382 Colleges and Fiske Guide to Colleges 2019. We combine science; practical, in-depth education; and teamwork skills in nationally recognized programs spread across our curriculum in the College of Arts and Sciences with Biology, Chemistry, Biochemistry, and Behavioral Neuroscience; in the School of Health Sciences with Biomedical Science, Microbiology/Immunology, and Health Science Studies; and in the School of Engineering with Civil, Industrial, Mechanical, and Software Engineering (all accredited by the Engineering Accreditation Commission of ABET), plus Computer Science. We’re on the journey with you to develop your knowledge, skills, and confidence to achieve your goals. The methods of teaching and learning are creative and thorough. In every class, your professor will take a personal interest in you and help you think critically and clearly. Excellent lab facilities in the sciences and engineering promote students working in small groups under faculty direction and supervision. Field studies and internships are integral parts of all science and engineering programs. Students may also plan to continue on in graduate study in a variety of fields at Quinnipiac: Molecular and Cell Biology, Business, Law, Health Careers, Education, Communications, or Medicine. Quinnipiac’s Pre-medical Studies program gives you the background to meet the academic entrance requirements of professional schools, including chiropractic, dentistry, medicine, osteopathy, podiatry, and veterinary. At Quinnipiac, the Frank H. Netter MD School of Medicine is named for the noted surgeon and world’s most well-known medical illustrator. The School of Medicine is located on the North Haven campus and features a state-of-the-art building and facilities in a spectacular setting. What happens after your years at Quinnipiac? Career advisement in each of the schools bridges your college experiences with your career expectations. During your Quinnipiac years, your academic advisor will help you meet graduation requirements and monitor your progress. Internships and clinical work often lead to full-time employment after you earn your degree. 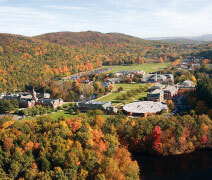 Quinnipiac’s Mount Carmel campus has academic, residential, and recreational facilities for all students. The nearby York Hill campus is home to the People’s United Sports Center; a lodge-like student center, Rocky Top; and apartment-style housing for juniors and seniors. Just four miles away, the North Haven campus has classrooms and state-of-the-art labs for graduate and professional courses in Nursing, Physical Therapy, Occupational Therapy, Physician Assistant, Diagnostic Imaging, Radiologist Assistant, and Education, as well as the Frank H. Netter MD School of Medicine and the School of Law.